PreviousPrevious post:New York City’s ICFF, the place to be in may !NextNext post:Atelier Alain Ellouz takes you to the top of the slopes! 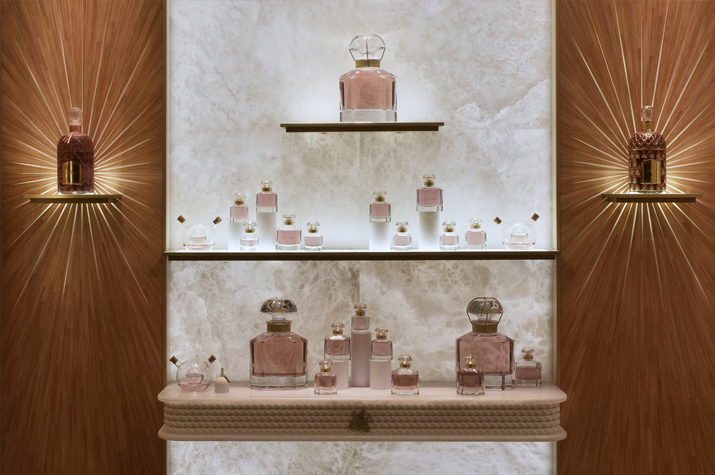 Already invited in 2016 to the renovation of Guerlain’s parent house at 68 avenue des Champs Elysées, Atelier Alain Ellouz took part at the Saint Honoré store, a few meters away from its historic house, giving way to the new Louis Vuitton space. And once again for this renovation, the interior designer Patricia Grosdemange revives with alabaster. Guerlain House has existed for over a century. Founded in 1936, the new shop on rue Saint Honoré at the corner of Place Vendôme was designed by Jean-Michel Frank, the eminent Art Deco designer praised by Paris high society at that time. Frank came up with the idea of ​​these walls in beige travertine and these soft tones. In 1991, the store which is a true work of art, is classified as an historic monument. Patricia Grosdemange continues this line of exception for the new Guerlain house, now located on 356 rue Saint Honoré, which opened at the end of November 2017. The shop retains its beige tones to highlight the colorful range of its famous perfumes and offers a perfect alliance of the old with the new. Moreover, everything has been completely reviewed by the designer and the alabaster is the only delicate link between the two stores. For this fine and sophisticated project, the Atelier Alain Ellouz has created backlit alabaster niches to arrange subtly the different fragrances. The marriage between alabaster and perfume bottles in baccarat is absolute and alabaster stands out as the ideal material to enhance the bright and sensual tones of the makeup range and harmoniously illuminate both the fragrances and the historic roman travertine wall created in 1935 by Frank. 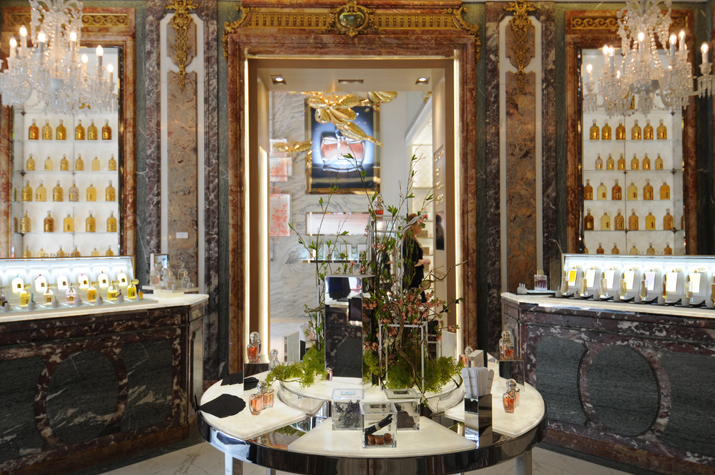 The Atelier Alain Ellouz is familiar with Place Vendôme. After the jeweler shops David Morris, Chaumet and Jaeger Le Coultre, Atelier Alain Ellouz is now proud to count among his achievements this luxury store of one of the most legendary perfumers.